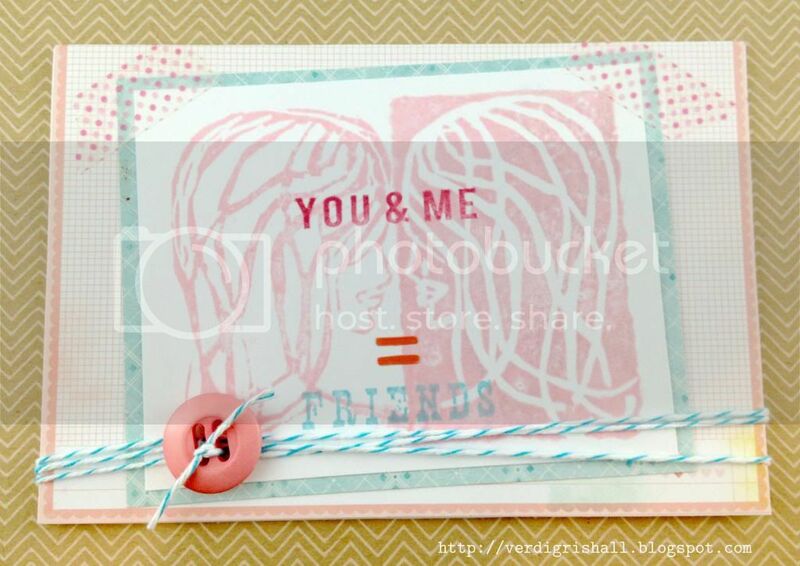 I have a little card for you tonight for the Moxie Fab World Challenge: Stamp With a Homemade Stamp. 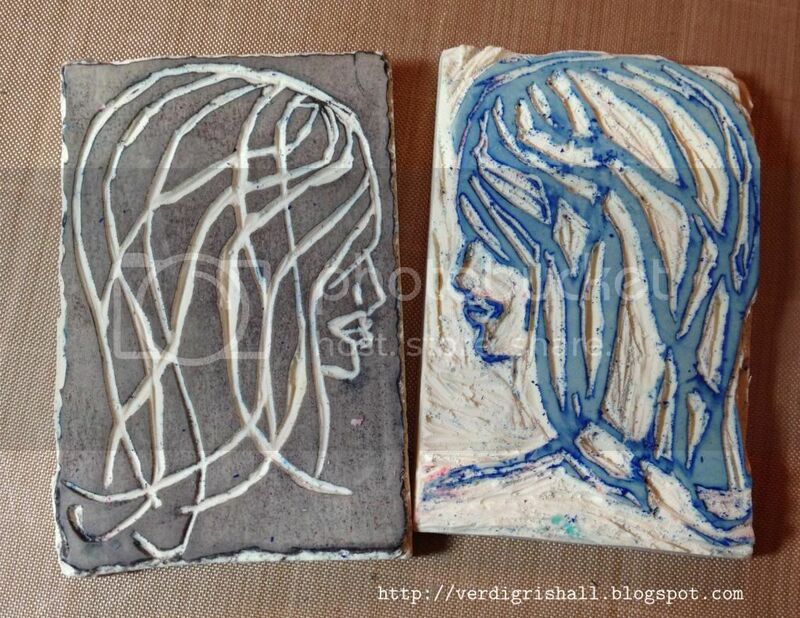 I have two handcarved stamps of ladies with a lot of hair...sure, not the finest examples of handcarving or art, but I thought I would try making a card with them. I decided to do a friendship card using Glitz Design's hello friend stamps and patterned paper from Fourteen 6x6 paper pad by Crate Paper and Dear Lizzy's Neapolitan 6x6 paper pad. I created the equal sign from exclamation point (without the point) from American Crafts' Remarks Chelsea. I added a little bit of aqua Divine Twine, pink button (notice the equal looking design on it? Perfect) and pink polka dot washi to finish it off. Okay, I have an admission to make. My sister thought this card was slightly creepy in a "Single White Female" sort of way....I hope she is the only one! If she's right, if you have a friend who is like your twin (or mirror image), this is the card for you!